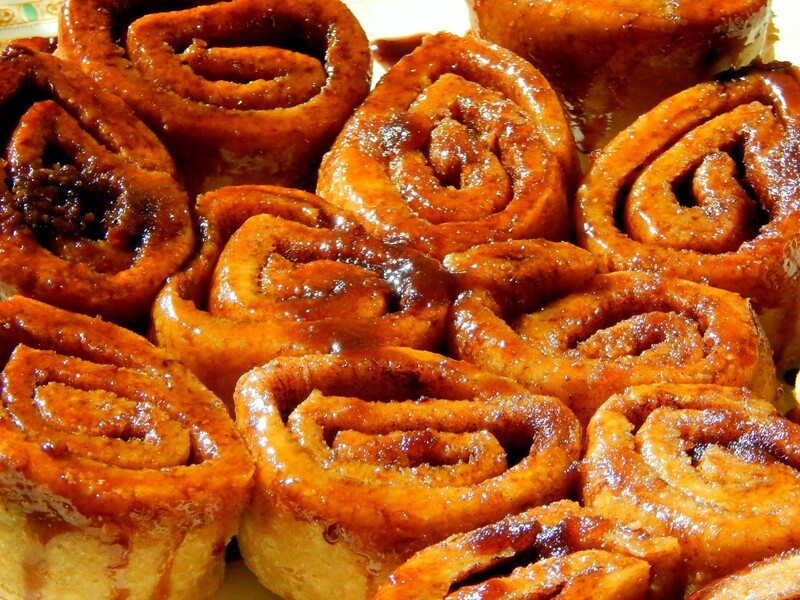 Looking for the perfect gluten free cinnamon buns recipe? Try these gluten free sourdough cinnamon buns. They are rich, chewy and delicious. Everything you could want in a cinnamon bun, except the gluten! 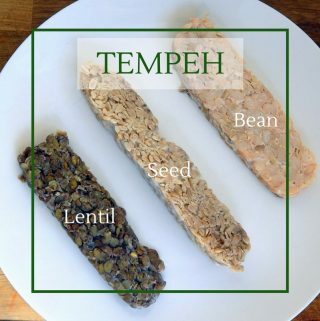 It is hard to make delicious, rich-tasting, chewy, gluten free bread products. Starches, bean flours and xantham gum just don’t taste that good. Wholegrain gluten free flours are flavourful and nutty, but result in a dense slice of bread. So next time you make gluten free cinnamon buns, try using a sourdough starter! Combine all of the dough ingredients with the starter. Mix thoroughly. The dough should be fairly firm. 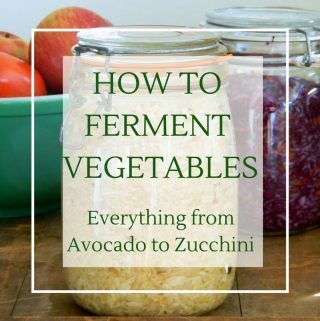 Leave out to ferment at room temperature for 2-4 hours, or fermented in the fridge for up to 24 hours. Gently roll the dough into an 18" by 12" rectangle on parchment paper. Use flour as required, to help with the rolling. Brush the remaining melted butter over the rectangle, then sprinkle on the cinnamon and sugar. (At this point you could also add ½ cup of raisins or walnuts). Roll the dough along the 18" side, into a tight cylinder and squeeze gently to even out the layers. Slice into 12 rolls, and place them in a greased 9x9" glass dish with the cut side down. The baking soda will act right away so you don't need to wait for them to rise. 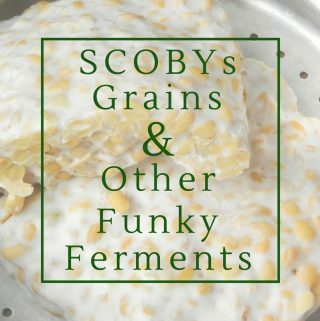 -Here’s my recipe for a gluten free sourdough starter. It takes 3-5 days to get a good starter, so plan ahead! 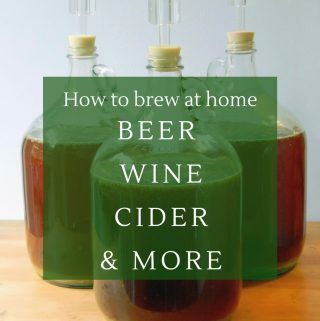 , or use my recipe to create your own. -Feel free to replace the sugar with a granular sweetener of your choice. I usually use date sugar. 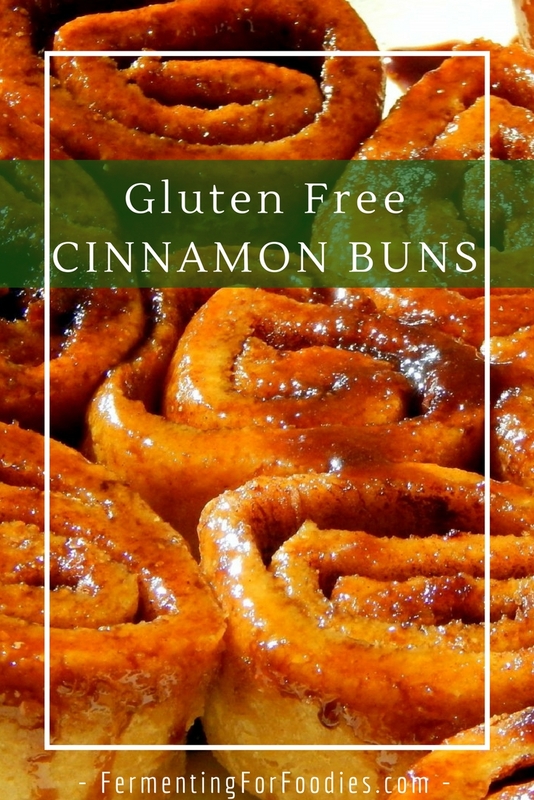 -I recommend topping your gluten free cinnamon buns with a kefir cheese frosting or cashew cheese frosting because it is delicious and probiotic! Can I freeze them prior to baking? I usually bake, then freeze my gf baking (because I like to simply microwave then eat 🙂 ) However, I think that should work. Sourdough is supposed to survive freezing. Let me know how it goes! Interesting. I made this recently without any issues. The sourdough ferment is with only 1 cup of flour. The rest is added with the remaining liquid. Did you use all of the egg? It’s 1 egg and 4 yolks, or 2 eggs. The eggs would help with the crumbling as well. The rest of the liquid comes from the melted butter. I will double check the recipe again this weekend. Thanks! Thanks! Let me know if you ever find anything that needs fixing. I try to test my recipes regularly, but haven’t managed to do them all.